The job market in 2018 has been one of the best on record. Unemployment is ending the year at near record lows. But what does 2019 have in store? ADP, which monitors payrolls on a monthly basis, is projecting even better times for people looking for a job. First, let's review what happened this year. The jobless rate fell to a nearly 50-year low as the economy added more than two million jobs. After years of no pay raises, the average hourly wage rose $1 an hour. People who changed jobs this year saw an even larger pay bump. "With 2018 employment levels at an all-time high and broad-based wage growth taking root, the U.S. job market is more dynamic than ever," said Don Weinstein, chief product and technology officer at ADP. "In 2019, employers and workers will increase their focus on issues ranging from the personalization of pay to an increasing mosaic of workers that span full time to gig, data privacy issues, and more." 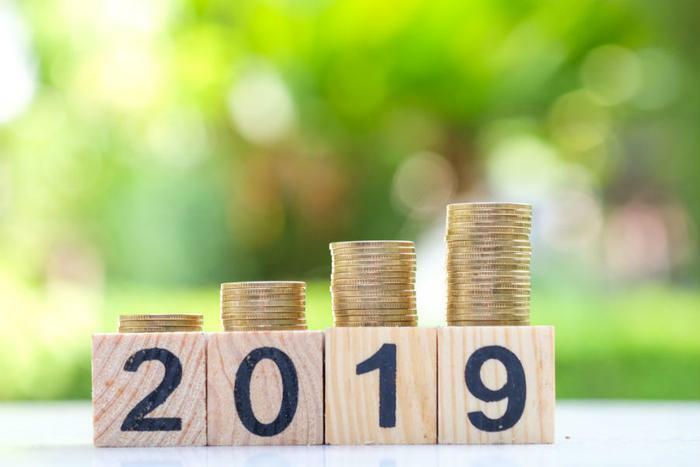 ADP has identified a number of trends in the 2019 job market, including something it calls the personalization of pay. Among the expected changes in the workplace, ADP believes digital accounts will become more common, allowing employees greater access to their paychecks. In fact, the time schedule for pay may evolve into schedules that meet the needs of individual employees. ADP's research shows that 86 percent of employees are interested in using non-traditional financial tools to manage their compensation. These tools include ways to manage and budget take-home pay while automatically tracking spending and suggesting budgets. ADP also predicts that organizations will increase their reliance on freelancers and part-time employees to fill the skills gap. You're also more likely to see wide ranges of age in the workforce as employers take advantage of boomers retiring from full-time work but who want to stay engaged in their profession. Employers are also likely to become more dependent upon data. Human Resources departments will increasingly tap into artificial intelligence (AI) and machine learning (ML) to serve up insights in real time. ADP projections suggest that workers will also have more access to data through financial wellness and professional development tools that support their goals both inside and outside the workplace.